At the start of a new school year, it may be tempting to dust off a tried-and-true STEM activity, like the egg drop or the spaghetti tower challenge. But this year, we challenge you to refresh your repertoire with our thoughtfully designed, classroom-tested curriculum. 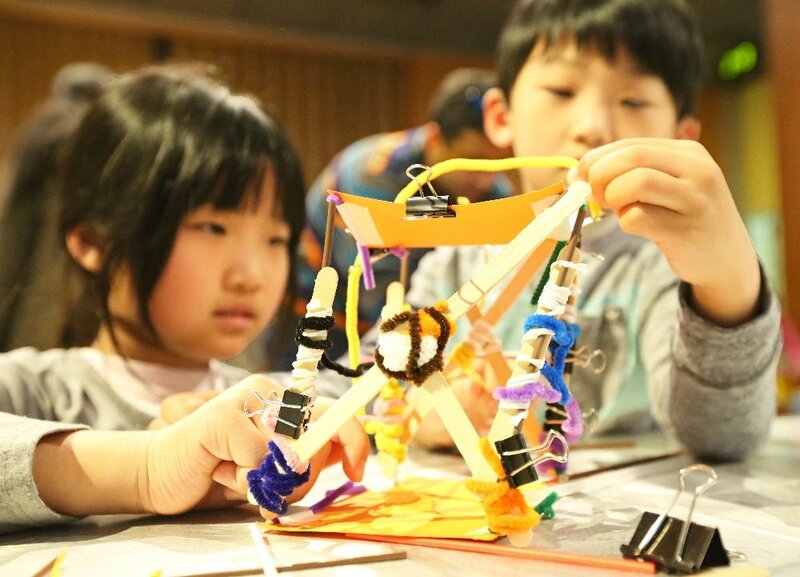 EiE units are fun and hands-on like your favorite STEM activities, and they provide students with an even richer learning experience by integrating with a variety of subject areas and offering real-world connections that introduce young learners to real engineering careers. Check out these four engineering activities that put a fresh twist on your old favorites! 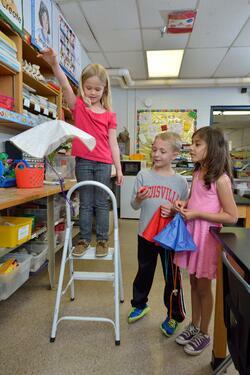 It’s easy to see why the egg drop has been a science-class standby for many years. The simple challenge of preventing an egg from breaking as it hits the ground can be solved with inexpensive materials, and the testing procedure is a lot of fun. 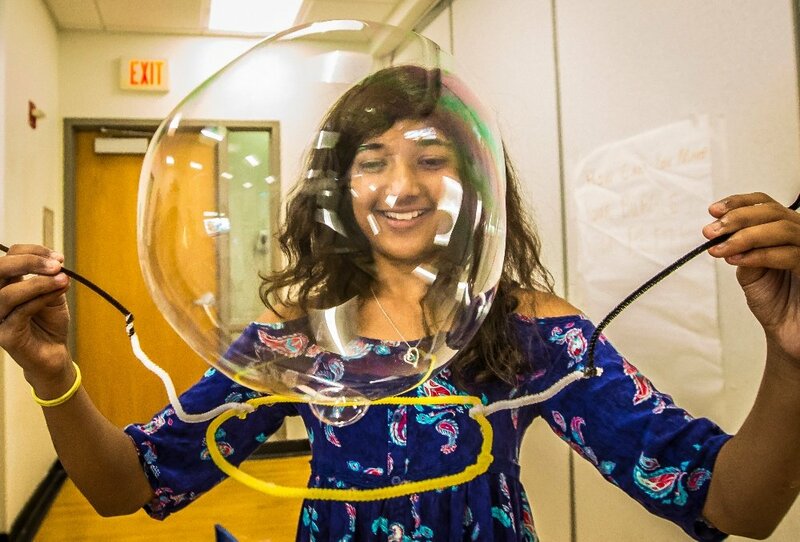 Our aerospace engineering unit A Long Way Down: Designing Parachutes involves landing a payload without damaging the contents, too—but the context is out of this world! Throughout the unit, students learn about drag (air resistance) and conditions on other planets. Then, they learn to think like aerospace engineers as they figure out how to land a payload on a planet with an atmosphere that is thinner than Earth’s. 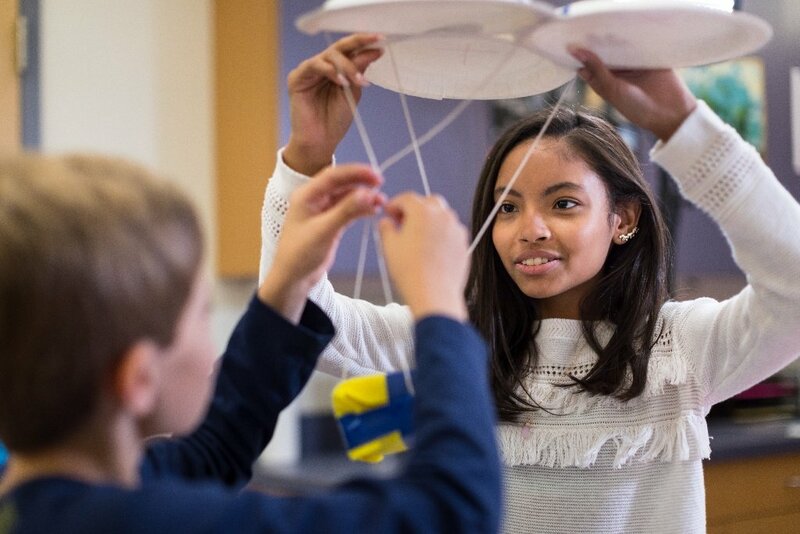 This design challenge has all the parachute-dropping fun of an egg drop, complete with robust math and astronomy connections and a careful teaching sequence that supports productive collaboration and engages all learners. 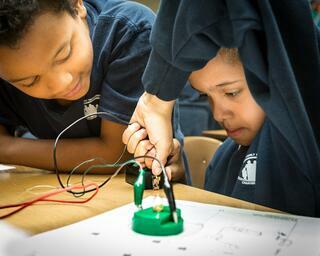 Building a simple circuit to power a light or buzzer is a classic STEM activity. When we developed An Alarming Idea: Designing Alarm Circuits, we wanted to frame this activity within an electrical engineering context and foster engineering habits of mind. The hands-on activities in this unit reinforce science concepts including conductors and insulators, schematic diagrams, and circuits—and the final design challenge puts a twist on the classic alarm circuit activity. Students are challenged to develop schematic diagrams for an alarm circuit design that they pass on to “contractors,” who build the circuits based on the schematics. 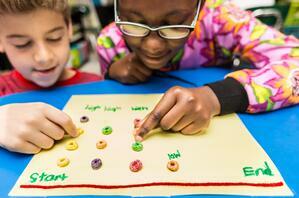 This emphasis on communication and teamwork elevates the simple circuit activity to something much more enlightening! 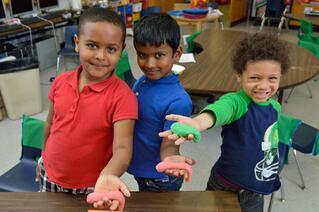 Perhaps you’ve seen a new craft trend sweeping Pinterest boards all over the nation—slime! This DIY activity often has a prescribed recipe that results in a mixture with a uniform color, texture, and pliability. But if you’d like to encourage your students to think deeper about the properties of mixtures, consider our unit A Work in Process: Improving a Play Dough Process. Throughout this unit, students learn about materials properties and states of matter as they work in teams to design the best method for creating high-quality play dough. The careful thought they put in to designing their play dough “recipes” makes them appreciate the end products that much more! Many elementary students’ first exposure to engineering is through a spaghetti tower challenge, where they’re asked to design a tower out of spaghetti and mini marshmallows that can bear the weight of a larger marshmallow. Most students will learn that if they jump into creating their tower without first making a plan, their design is less successful. When we developed EiE’s prep activities, included at the beginning of each unit, teachers expressed trepidation about these sorts of challenges because of concerns about food waste and limitations on potential designs. We took their feedback and developed “Tower Power”—the prep activity beloved in classrooms and Professional Development workshops alike. 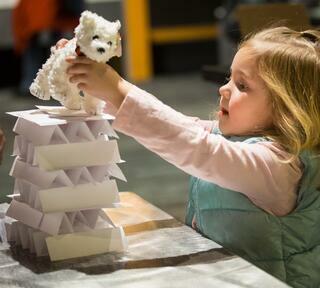 During Tower Power, students receive a bundle of index cards and tape and are asked to design a tower that can hold a stuffed animal one foot above the ground. The index cards can be bent, folded, and combined into many different shapes, encouraging many creative solutions to the same problem—and the materials are totally recyclable! We then use what students have learned to emphasize the importance of planning and to introduce them to the five-step engineering design process. Check out a PDF of Tower Power here!